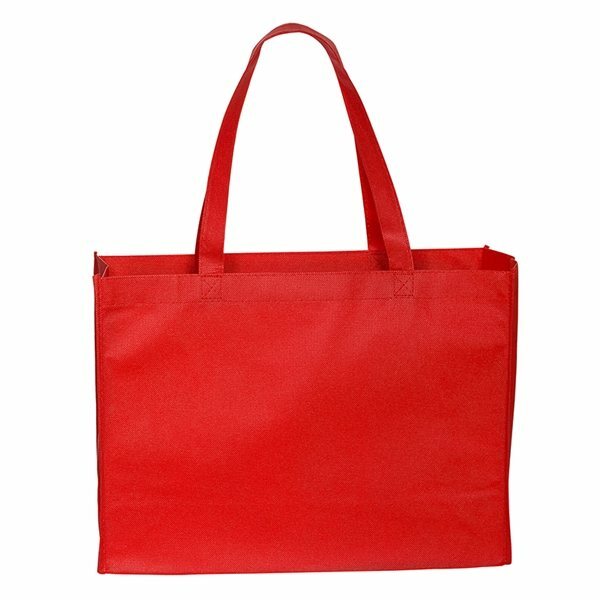 The Non-Woven Standard Tote Bag from AnyPromo is a classic 16" x 12" tote bag made of 80 GSM polypropylene, a strong but eco-friendly polymer. 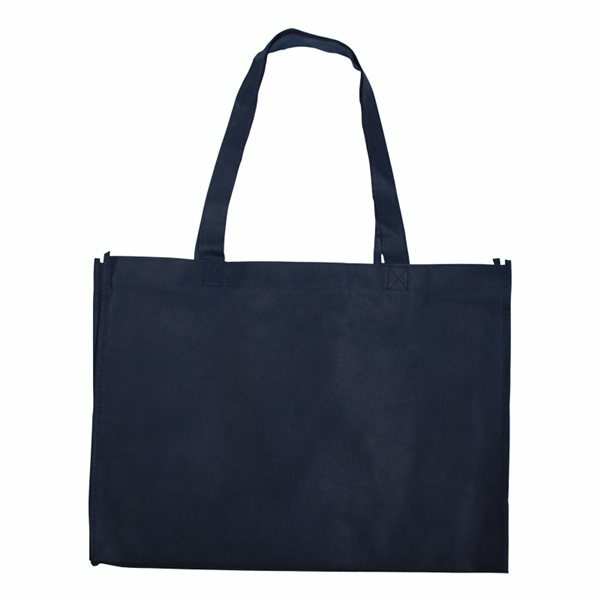 These custom tote bags also feature reinforced 22" handles and a box gusset at the bottom to provide ample space. 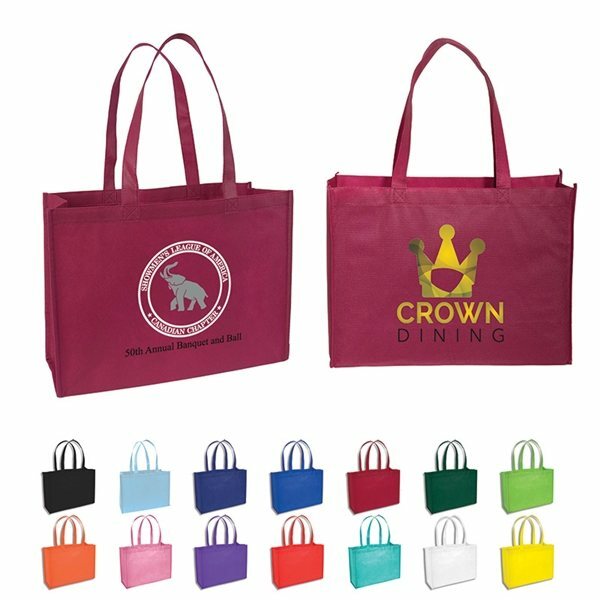 Available in 14 colors, customized with Screen Printing or 4 color process printing on a large imprint area of 12" x 8" on each side to show off your design. 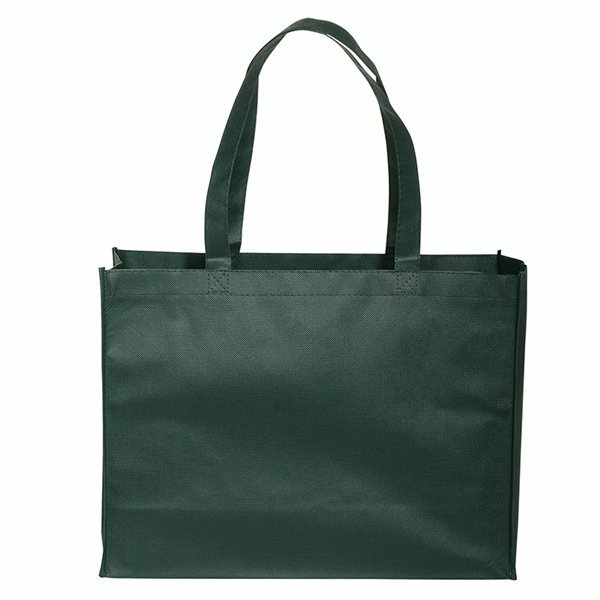 If you're looking for a reliable, time-tested option for tote bags, look no further. 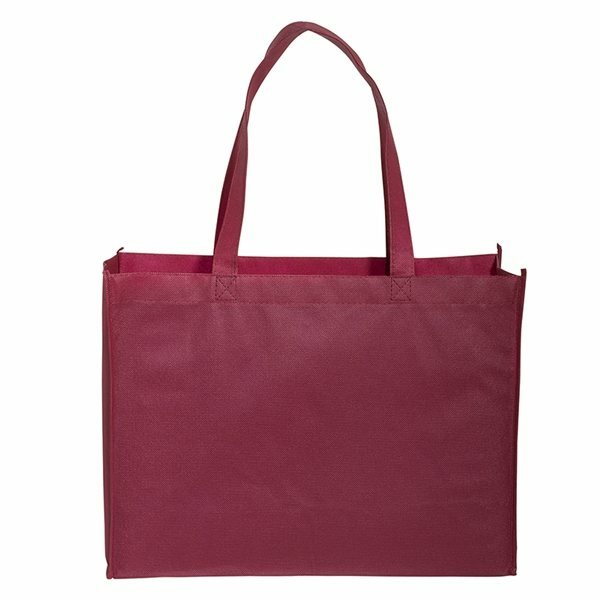 Our 16" x 12" Standard Tote Bags are customer-voted "Top 100" item because they are versatile and a great value. 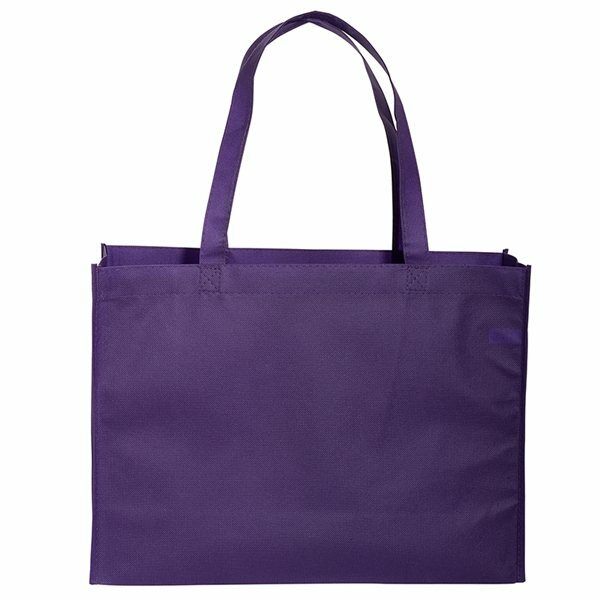 These budget-friendly traditional tote bags are a fan-favorite for trade shows, conventions, grocery stores, and retail shops. 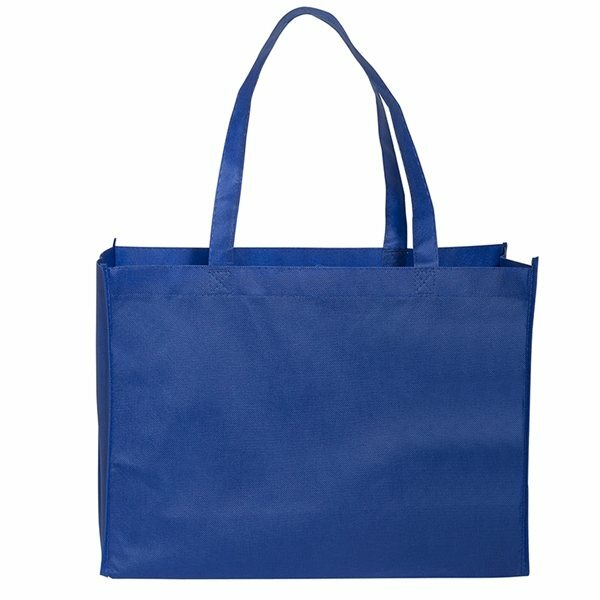 With promotional logo tote bags like these, you can enjoy the brand exposure of giving out shopping totes that will be used over and over again. Made of durable eco-friendly 80 GSM Non-woven Polypropylene material. 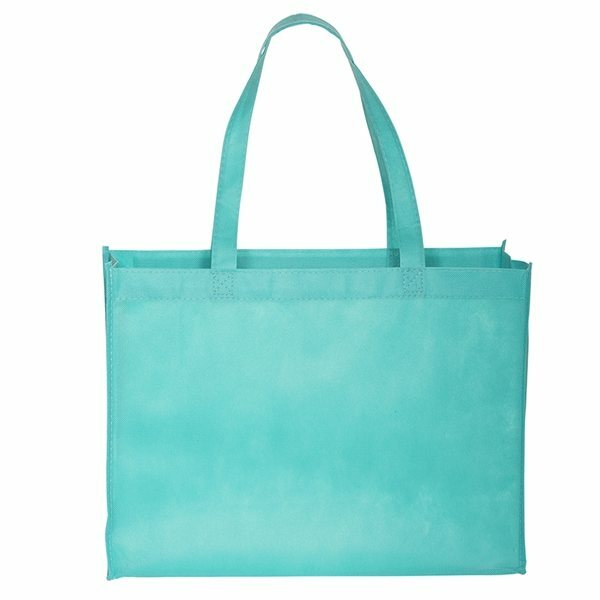 A spacious open tote with box gusset and crisp binding edge seams. Features reinforced handles that are 22" in length. Made with durable non-woven 80 GSM polypropylene so they can carry plenty of weight without tearing. 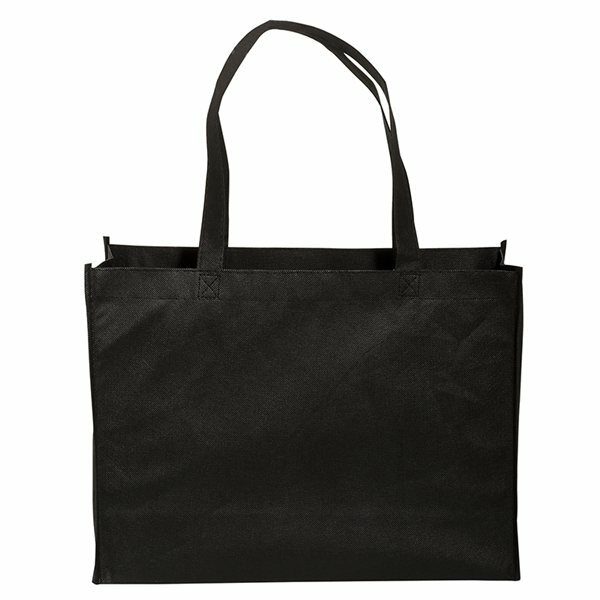 These tote bags can be used over and over again, whether for grocery shopping or simply as a day tote. 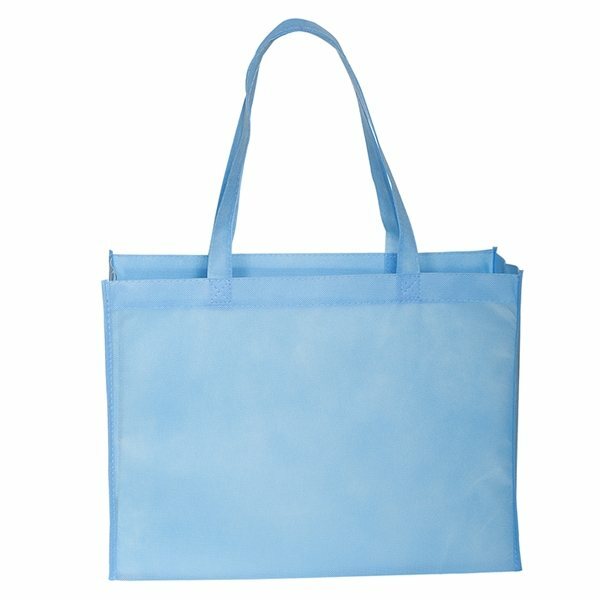 This nonwoven tote is not only reusable, but made of 40% pre-consumer recycled material and 60% post-consumer recycled material. 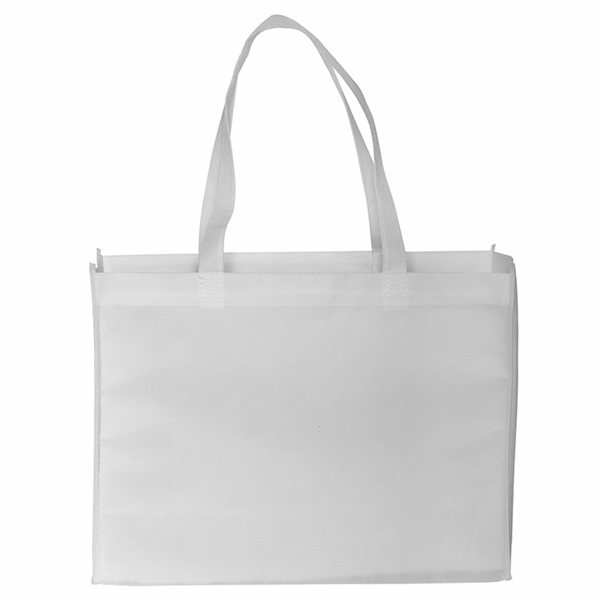 Do you need custom non-woven totes in a hurry? Get free 1-day rush when ordering a single location, single color print. Overall Reviews: WRITE A REVIEW (113)4.885Custom Non Woven Standard Tote Bag 16" X 12"
This is the third time I've ordered from AnyPromo. I've been happy with all my purchases and this one is no exception. My only slight criticism is that some of the bags were a little smushed. 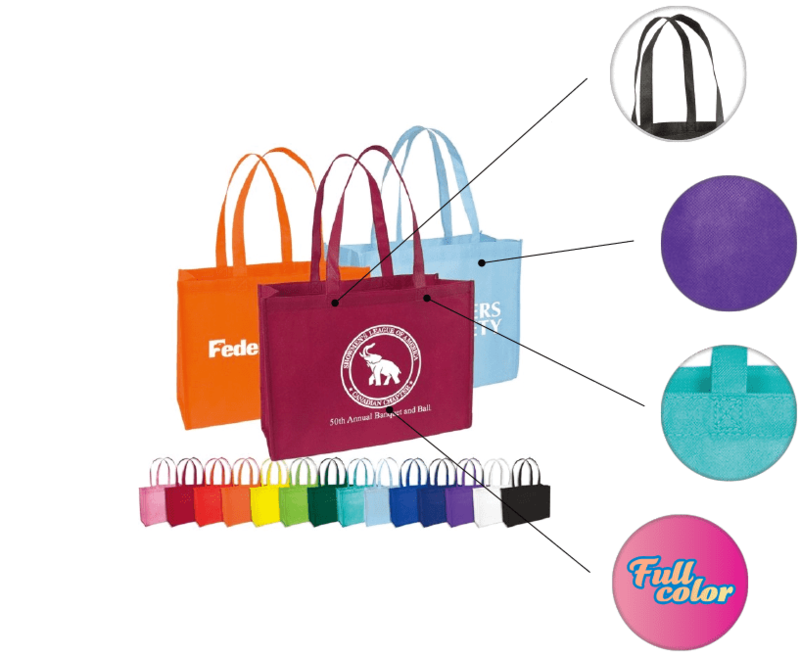 But the quality of the bags themselves are exactly what I was expecting and the graphics look exactly like the proof. 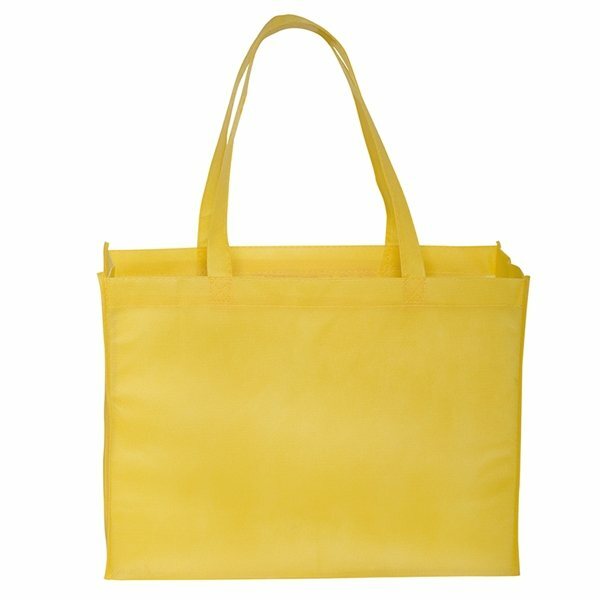 We love these totes! Inexpensive but hold up really well. Our company color is bright green. I could not believe that they have a bright green. Yes, these are a re-order staple. Great, the family will love them we meet on 14 July weekend, can't wait for them to see the shopping bags. 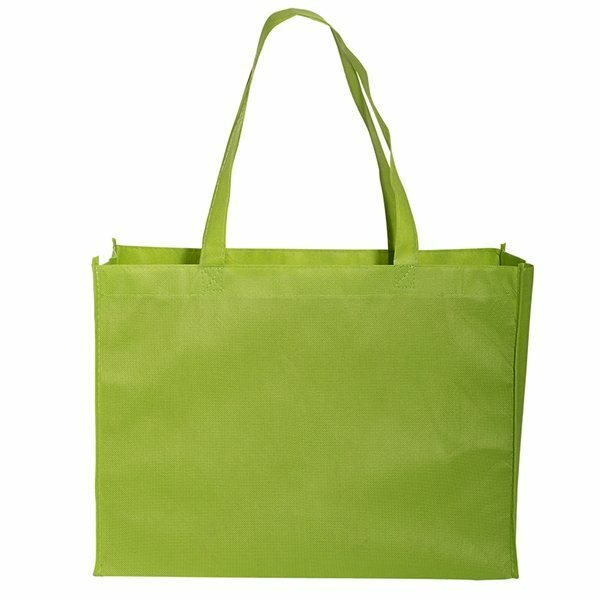 The size is nice, large bags can pack it in when shopping.